The Dream Unfinished: One Year Later, Remembering Eric Garner | RESPECT. A year ago today, Eric Garner became a household name and symbol of police brutality that would be forever etched in our memories. The 6’4”, 400 pound man who was both a father and loving husband, died on the streets of his native Staten Island at the hands of the police. In the aftermath of his tragic death, a cloud of anger and the push for police reform spawned. His last words, “I can’t breathe”, would become a national outcry among protesters during public demonstrations and months later even make its way to the NBA. However, Eric Garner the man and not the victim are to be celebrated today through music, solidarity, and social change. The Dream Unfinished: A Symphonic Benefit for Civil Rights will take place tonight in New York City to honor the fallen. Part benefit concert, part rally The Dream Unfinished is a gathering of orchestral musicians, national prominent figures and a space for people of all backgrounds to join together for civil rights and call for an end to systemic racism. 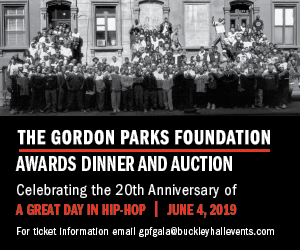 The program is set to consist of a diverse orchestra of classical musicians led by Grammy-award winning conductors, a keynote address from Vince Warren, executive director of the Center for Constitutional Rights, and a speech from Garner’s daughter and activist Erica Garner. In an effort to maintain the visibility of the Black Lives Matter movement, The Dream Unfinished will be donating the proceeds from the concert to the Center for Constitutional Rights, Justice League NYC, MusicKitchen-Food for the Soul and the National Coalition of Law Enforcement Officers for Justice. The project is the brainchild of musician and educator Eun Lee, who recently spoke with RESPECT magazine to discuss the importance of this event in the classical world and how others can get involved. RESPECT: Can you tell me more about your role regarding The Dream Unfinished project? Eun Lee: I am the executive producer of The Dream Unfinished. RESPECT: How did The Dream Unfinished come to fruition? Eun Lee: It began as an idea last summer and started to come into being this year around January. I was watching the news last year and following what was happening in Ferguson and following what was happening in Staten Island. I was realizing that nation wide this is a very huge problem. And, I thought what can I do uniquely as a classical musician and just as a person. I can go to the Millions March. I can share information on social media. But was there anything that I could do uniquely with my musical talent. RESPECT: What does The Dream Unfinished mean to you? Eun Lee: It means a lot of things. The Dream Unfinished is, for me personally, a big part of it is that there are a lot of classical musicians who care about these issues but feel that they aren’t in a position or have a platform to speak out. And, at the end of the day the fact is that the New York Philharmonic or Carnegie Hall are not going to say anything because they have donors and sponsors that they are afraid of offending and politics to uphold. However, as individuals we can band together and say something because we don’t have to have these precautions and because it matters. So, I want it to [show] that even classical musicians care for this. This is something that we have to be paying attention to and we have to start working towards. RESPECT: There are some very notable musicians and public figures who have joined in this project. Can you tell me more about them? Eun Lee: Erica Garner will be one of our speakers. Julian Reed who is a national commentator on MSNBC will be appearing. We will be including the art work of activist Molly Crabapple. Tanya Birl who is a performer in the current production of “On The Town” will be giving a speech on Leonard Bernstein’s legacy of activism. Hosting the event will be Terrance McKnight who is WQXR’s weekly evening host. John McLaughlin will be conducting the program. Vince Moren who is the Director of the Center for Constitutional Rights will deliver the keynote. RESPECT: Now, the proceeds from the concert will be donated to several charities. Would you mind elaborating on them? Eun Lee: We’re really trying to have it be an event where people come together. So, our beneficiaries include The Center for Constitutional Rights, Justice League NYC, The National Coalition, Law Enforcement Officers for Justice, MusicKitchen- Food For the Soul. We want to show that as an artist you can also be an activist. RESPECT: Do you have any favorite moments from the concert that you would like to share with us? Eun Lee: One of the key points of our concert is “Weeping Angel.” A very, very beautiful and simple solo piano piece with orchestra, which is going to be prefaced by a speech from Erica Garner. Because one of the big things with our event is that it’s on the one year anniversary of when her father was killed. I really want this to be a moment where people are looking at Eric Garner the man, the father, and the husband. And, not Eric Garner the symbol that went viral on YouTube. I want people to sit back and think this was a life. This was a man with a family and not just that YouTube clip. RESPECT: How can others get involved? Eun Lee: Follow us on our social media platforms, share our content, talk about the event with your friends and family, and come join us.